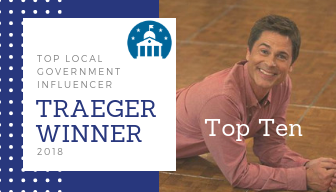 Before you check out the winners, here’s a word from Chris Traeger on the Chris Traeger Award. After a national search, the City of Los Angeles Office of the Mayor recruited Amanda to be the Director of the Innovation Team. Before this role, she was a Senior Manager at Deloitte Consulting, having spent nearly a decade transforming government agencies to be more efficient, effective, and impactful. As the Director of the Innovation Team, she has spearheaded multiple initiatives to transform how the City identifies issues, analyzes problems, and implements sustainable change. 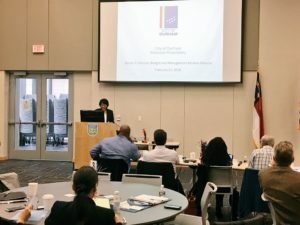 These initiatives have been enhancing the recruitment and hiring process for the Police Department aimed at diversity, implementing a new policy for the building of Accessible Dwelling Units to address the City’s housing crisis, directing the Gender Equity Initiative across the City departments, designing and rolling out a new Sexual Harassment website and reporting tool for City employees and contractors, etc. She continues to make a positive impact on City policy makers, executives, managers, and staff, and more importantly, making a positive impact on the residents and visitors of the City of Los Angeles. She has not only designed solutions in collaboration with policy-makers, departmental executives, managers, and staff, and community-based stakeholders, but also implemented solutions with measurable success. 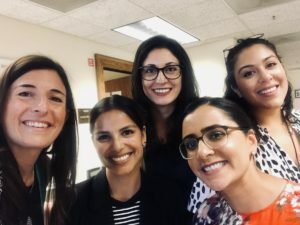 While starting out being funded by the Bloomberg Philanthropies Innovation Grant, she has successfully institutionalized the Los Angeles Innovation Team to be funded by the City. She not only thinks, but DOES…for the betterment of the community. There is no one more dedicated than Amanda. She eats, sleeps and breathes her role in the Mayors office. She is a true leader and an incredible doer – if you want the job done 110%, get Amanda involved! Amanda Daflos brings tremendous dedication and skill to deliver meaningful projects and policies that create new and improved resources for the citizens of Los Angeles. Amanda led her team’s delivery of a new user friendly online business portal, policy changes that made it easier for people to build Accessory Dwelling Units, and improvements in city hiring processes among other projects. Amanda is a caring and accomplished doer making our city better and deserves to be recognized for her work. At any given time, Amanda Daflos and her Innovation team (i-team), are working on approximately 15 projects intended to solve important issues facing the people who live and work in Los Angeles. The i-team operates like a group of in-house consultants and is funded by Bloomberg Philanthropies. They research, develop, and implement modern solutions to enable government programs to work better for constituents, whether it us using technology to connect, streamlining processes, or making slight policy changes that open up enormous possibilities. Two of the most impressive projects are strengthening and diversifying the City’s police force and addressing the City’s housing crisis by streamlining the process of approving and building backyard housing. You can read about these projects and more in the recent press below. Amanda truly believes that government programs, when approached with data and thoughtful engagement with constituents, can work to improve business and daily lives for citizens. For her incredible work to end homelessness in LA, reform hiring practices in the LAPD, and transform city politics through creative, innovative approaches to problem solving. Amanda works tirelessly to design and implement initiatives that improve service delivery in the City of Los Angeles. She also oversees the city’s Gender Equity initiative, helping to promote greater equity between genders in the city. Amanda Daflos is an amazing leader and a force to be reckoned with in propelling the City of Los Angeles forward. I started working for Amanda last October where our team’s focus has been on improving the City’s hiring process for the police force. Since then we have helped implemented an AI powered chatbot, Chip, to help answer questions candidates may not feel comfortable asking in person and to better track what candidates want to know about becoming a police officer. We have also implemented controlled experiment tested email and text nudges to make sure that candidates do not fall through the cracks, and complete various parts of the process in a timely manner. These are just a couple examples of what we’ve done under Amanda’s leadership, and I cannot wait to see what we achieve in the near future. 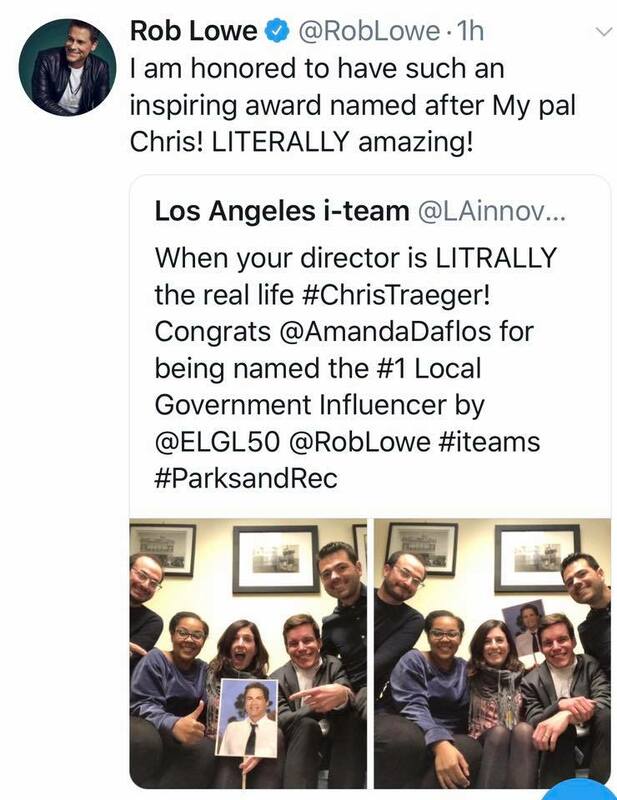 An influencer in local government should be someone who can make a positive impact from the leadership team level all the way down to the front line. Jamie Eustace is exactly this person and local government is better because of her impact. As a Library Director, she has inspired and empowered her team to break the mold of a “typical” library and focus on providing an exceptional level of service and an exceptional experience for their customers. Jamie has also challenged the City of Baytown Leadership Team to think differently, whether it’s about solving tough problems or creating a great culture within the organization. Finally, Jamie’s influence in creating and executing Baytown’s new Process Improvement & People Empowerment (PIPE) Academy is really unprecedented in the local government world. The academy has trained over 30% of the City’s workforce in just over a year and over 75 innovations have already been completed. 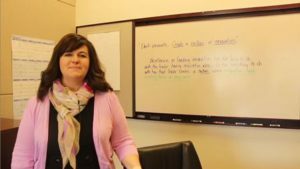 Employees are frequently using a new Innovation Room, which Jamie created by using under-utilized library space, to work on solving tough issues. Jamie’s influence on local government is significant and incredibly impressive! She is an outstanding ambassador for the City of Baytown. She has transformed into a Change Agent from a Library Director. Though she is still the Director she is positively impacting way more than the library. Every employee is being inspired by her motivation and dedication to improving processes and making the City a better place to live, work and play. I loved hearing from Aaron at the ELGL Pop Up. He was engaging, funny, and frank about how he came to work for the City of Detroit. Given the challenges the City has faced, Aaron believes in his ability to tell the City’s story and continue to advocate on behalf of the taxpayers. Chief Storyteller is a bold title and Aaron does an amazing job of telling the story. He has taken Detroit’s story to the nation. He’s constantly coming up with new approaches to reaching neighborhoods in Detroit. My hope is that other local government will follow Detroit’s approach and embrace the importance of storytelling. Cathy is truly the “First Lady of Water.” She is the first woman and African-American woman to lead the utility since it was formed 200 years ago. Cathy worked her way up in the organization and is now responsible for ensuring safe drinking water for more than 1.1 million citizens, supervising a team of 600+ full-time employees, and managing a $90-million operating budget. She is an effective leader in Cincinnati and incredible advocate for the water industry. Her work has been recognized by a wide range of groups, including been selected as one of the Greater Cincinnati YWCA’s 2018 Career Women of Achievement. Anna has brought to light to an important topic in our nation’s history. These issues surround the lead crisis in Flint are vital and need immediate solutions. Anna provides the most thorough account of the Flint tragedy. Throughout the book, she includes many new details about the role of government in creating the crisis. This book should be required reading for everyone in government. The greatness of Anna’s book is being recognized by a growing list of newspapers and other groups. Thank you to Anna for keeping this issue in the minds of government officials. Zach was a key to bringing #ELGLInspire events to Milwaukee and Oshkosh, WI this year and is a key member of the planning team for the #ELGLSconnie #ELGLPopup in Milwaukee this year as well. He continually preaches the benefits of ELGL and careers in local government to anyone and everyone he meets. He’s the perfect ambassador for #localgov and I won’t be surprised one bit if he is one of the next members of the ELGL Board of Directors because his enthusiasm is contagious. In his day-to-day role as a public works analyst he’s relied on for everything from budgeting to purchasing and more. He’s become such a key part of his organization he’s also one of the key members of his city’s health smart team where he shows his leadership potential. Zach is a great City Manager in the making. Darrin is a leader, through and through. 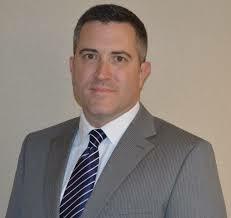 During his first three years after retiring from the Army as a Green Beret, he has dedicated his time to creating, implementing, and growing the Veterans Local Government Management Fellowship program. Since its inception, VLGMF has expanded beyond Colorado to Kansas, Missouri, Texas, Georgia, and will soon begin in California. VLGMF has directly influenced local government by successfully connecting the skills and experience of transitioning service members into local government positions. Darrin mentors local government professionals and provides guidance for those inspiring to break into local government. Always pushing local government to be more effective through the use of technology and innovative approaches to suing data. 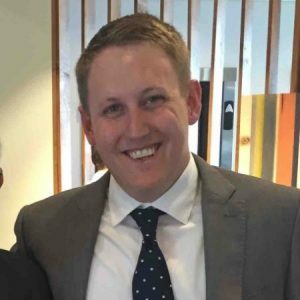 Jason Jones is the Analytics and Innovation Manager in Guilford County, North Carolina. His current duties primarily revolve around data, partnerships, and innovation. Jason works across the county to challenge conventional thinking, foster cross-sector connections, spark creativity, and build capacity for positive change. His efforts are helping the county become a more connected, innovative, and data-driven organization. Jason is also the Open Data Project Manager for Guilford County. In this role, he helps the county improve access to and understanding of its data, develop deeper insights into its operations, and net together community resources to build a sustainable public data infrastructure. In addition, he is working to integrate data across functions and organizations to ensure the community has access to quality information to support informed action. He has served or is currently serving on several local, state, and national project teams dealing with integrated data systems, substance abuse, eviction diversion, and re-entry support for justice-involved individuals. Jason also helped design and implement a program called ansWEr Lab, offered in conjunction with a local non-profit and the City of Greensboro, to empower employees to improve their departments and the services they provide. The program offers workshops and practice labs to expose employees to tools and techniques they can use to identify and address difficult challenges for their customers. Past ansWEr Lab topics have included collaborative governance, behavioral economics, design thinking, and Lean Launchpad. As if all that’s not enough, among many other things, he’s helped initiate a county-wide community indicators project; contributed articles and assistance to ELGL and other professional organizations; supported professional organizations like ICMA and ELGL through membership and committee participation; represented Guilford County and shared his knowledge and experience at local, state, and national conferences both as an attendee and a presenter; and helped advance local government civic tech efforts. Oh, and he’s also been one very patient and very much appreciated (reverse!) mentor. Jason is pushing a culture of innovation and new ideas into a local government. 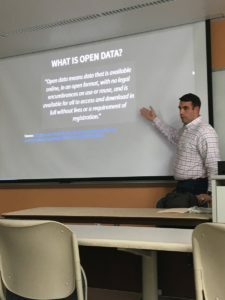 At Guilford County he has gotten a large, slow-moving organization to adopt a collaborative open data policy and framework. He has also developed relationships with local universities to encourage research projects with students, faculty and local government. He’s an inspiration to those of us working to change culture and adapt to the latest trends in this industry. Jason is absolutely a wonderful co-worker who has stretched himself beyond standard analyst responsibilities to create a role within our government that has never existed! It’s brave and he has the intelligence and sense of humor to make this endeavor completely successful. I admire him more than a little bit! A self proclaimed “local government nerd” Lori embodies the energy and excitement of GovLove in all that she does for the organization and our profession. A spear-header of “Baby On-Board” where new parents are able to bring their newborns to work (where appropriate) until crawling age to assist with transition back to full-time work. And the “Take your Co-Worker To Work Day” via the Innovation Alliance Academy team program. In addition, she serves as the CA Women Leading Government President, has been a ELGL and GovLoop guest blogger! She is happy to share her experiences and ideas for all! Often saying it’s about building the team, wowing the customer and next (not best) practices. Innovation and challenging the status quo is her mantra. For these reasons, and so many more, I proudly nominate Lori Sassoon for a Traeger Award recognition! Lori Sassoon is Deputy City Manager for the City of Rancho Cucamonga and the current President of Women Leading Government. The family friendly policies, including “Baby on Board” that she has instigated and supported have helped improve our employee experience in the City and is being spread to other agencies. She is a collaborative leader, and she recently reached out to our local community college to partner on an art exhibit that will bring community art to City Hall. Bertha is a fearless leader that empowers her employees to try out new ideas, implement innovative programs and push what a budget office does. Through her leadership the department has taken on a Bloomberg Innovation Team, earned a Mayor’s Challenge grant and will be implementing Participatory Budgeting in the coming year. Bertha has helped change the culture of the organization to make decisions based on our strategic plan and where we want to go as a City and has worked to tie the budgeting process to the strategic plan more and more each year. Bertha is always willing to listen to new ideas whether they come from an intern or a co-worker she’s had for 10 years, she’s also willing to try new things and assess what’s working or not. That kind of openness and willingness to try new things is truly unique in local government.